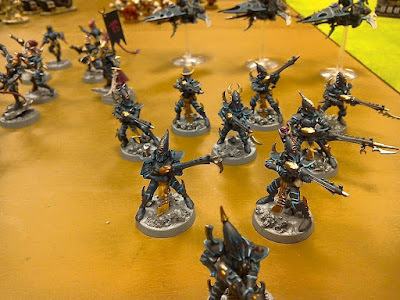 It's been the best part of two months since I entered the local army painting competition but digging through my files I found a couple of photos and thought I'd share them. Fast forward a year and everyone has forgotten about or lost interest in the competition when suddenly Keith resurrects the notion and offers us a Games Day Orc (NIB no less!) as a prize! The only catch being that we had a month to finish our entries. Well, it was just enough to convince me to finish 500 points of Dark Eldar including my new Voidraven Bomber (of which I'm particularly proud). My baby in all her glory - be still my beating heart! Sadly my efforts were only enough to manage a close second and the Orc went to a better man. Nonetheless, I came away with a fully painted 500 point army which probably would have never happened without the incentive of a competition. I'll definitely be entering the next one! 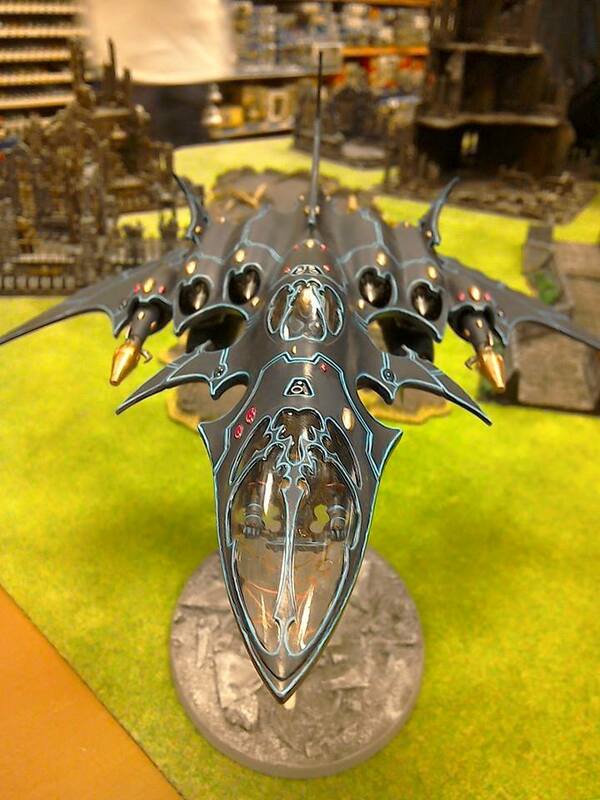 Wow, amazing work on that bomber, it's GORGEOUS! Thanks a lot Greg, it was a labour of love. I might have some more photos knocking around here somewhere, I'll post them so you can have a better look.